The K3Pro® implant system developed by us captivates with its broad product portfolio with optimally coordinated system components. K3Pro® offers outstanding product properties with excellent clinical and esthetic results. The best connection between implant and abutment is ensured in the K3Pro® implants by the proven 1.5° taper. 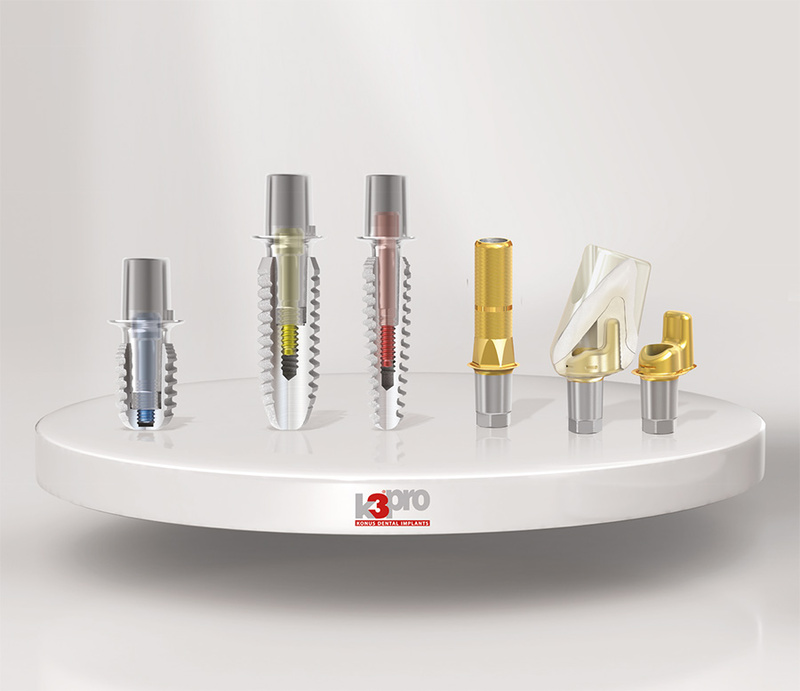 K3Pro® occupies a top position among the conical connections in the implant market. The connection with K3Pro® is so precise that even with implants with a diameter of 3 mm or more, optimal occlusion distribution, as with a one-piece implant, is guaranteed within the system. Although less well known in the public as organ transplantation, human donor tissue treatments are helping more than 1 million people a year in Europe. Doctors use donated tissue from the human musculoskeletal system to replace bones, tendons, and ligaments that have been damaged by tumors, accidents, joint disease, or other causes. 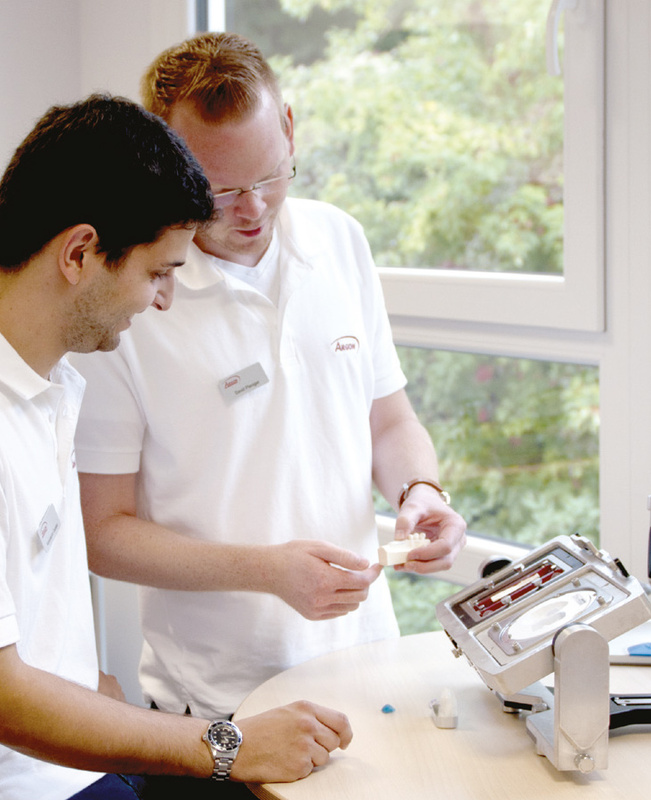 In cooperation with the German Institute for Cell and Tissue Replacement, we have developed a program especially for the dental market, which makes it possible to effectively and safely treat even large bone defects. The cornerstones of product development are the laboratory test results obtained on specially designed in-house dental implant testing machines. With a test capacity of more than 4,000 weekly test hours, the laboratory is one of the leading players in this field. From the first drawing to handmade samples or individual pieces, our employees develop new implants, special solutions and new materials. Minimal invasive with Osteograph. The Osteograph which is developed and manufactured by us is a precision pantograph for the production of three-dimensional grafts. 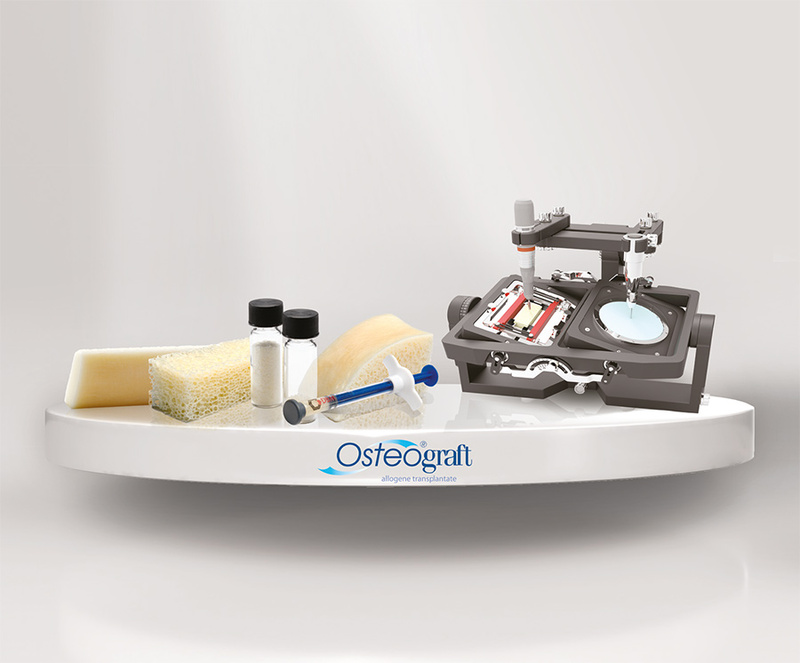 The Osteograph enables to dispense with time-consuming adjustments and modeling of allografts ("self-milling"). At the same time, the risk of inaccurate fit is minimized. In this minimally invasive procedure, the block is first manufactured, after which the procedure is performed on the patient. In order to ensure the medical training and education of physicians and surgeons, a special training center was opened in 2015 in our headquarters in Germany. This state-of-the-art and technically sophisticated equipped place accommodates groups of up to 30 participants. The training offer includes material and specialized training as well as surgical training with live surgery. 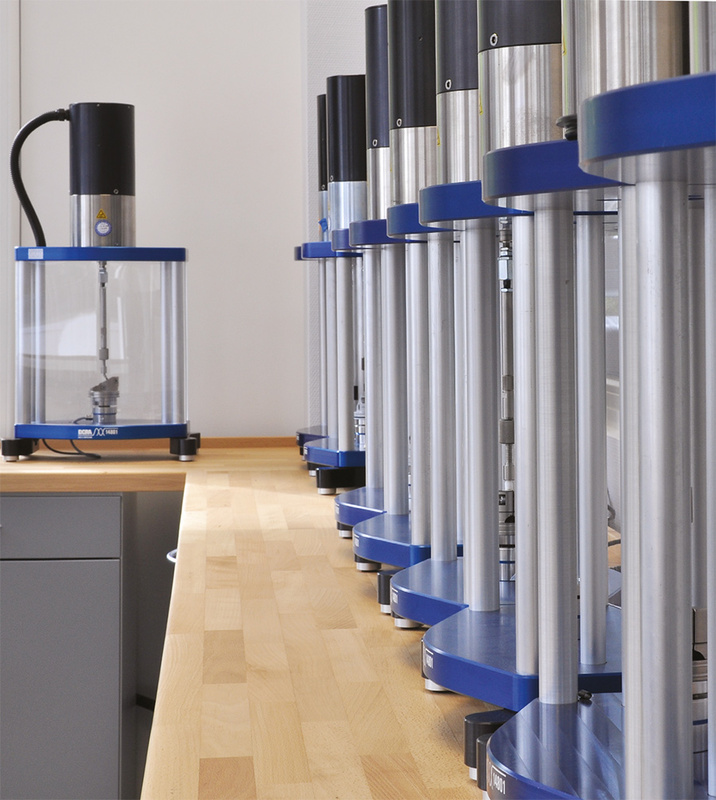 Our product range includes dental implants with the conical connection technology, bone graft substitutes, surgical instruments, special pantographs and services in 3D printing and milling technology, as well as fatigue testing machines for implants. Our corporate goal is to inspire you as a customer through an innovative, broad and affordable range of products and services. We develop, inspect, treat, clean and package all components ourselves, so we can assure you of the highest standard. The Franz Kirsten site 1 was named after the founder Franz Kirsten. Franz Kirsten, born in Bingen in 1906, was a trained locksmith who had completed various career positions throughout his life. In the heart, however, he was primarily an entrepreneur of the old school. 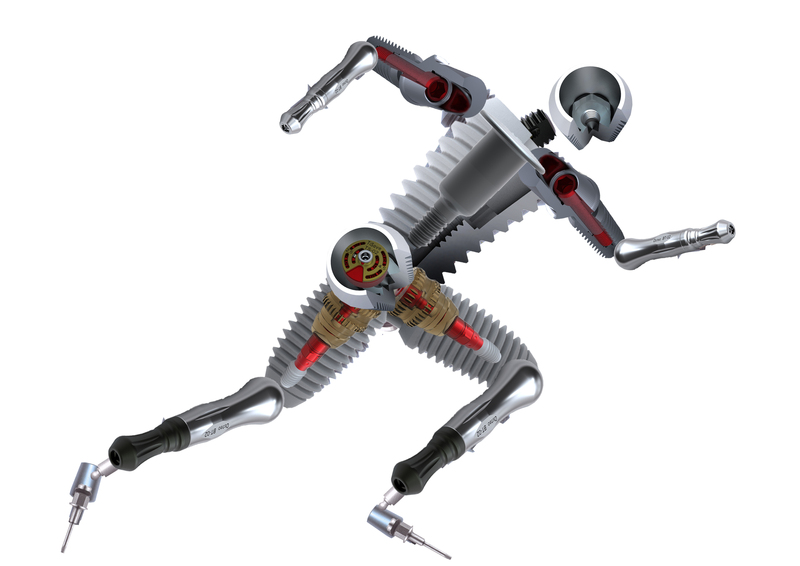 When in 1930 the opportunity arose to acquire outdated machine tools, he seized this opportunity and switched from the employee to self-employment. So the entrepreneur began his career in quite dilapidated rooms. Over the years, the company Franz-Kirsten Elektrotechnische Spezialfabrik, which settled here at the location, grew out of this commitment. The company grew to 1,600 employees within the next 50 years. At the Bingerbrück location, 8079 square meters of warehouse, administrative and production space were created, which are now used by various companies. Currently, the area has been extended to approximately 9500 square meters. The history of this location has already shown that the success of a company depends largely on the entrepreneur's commitment. The companies Argon and Bösing have been proving this fact for more than 15 years now. The implant company founded in 1999 by the entrepreneur Richard Donaca as a family business quickly became one of the well-known manufacturers and suppliers in the implant industry. With just under 30 employees, the family-owned company Argon is one of the small ones on the market - but that is exactly what makes its success. If it is up to the Donaca family, the employees are considered part of this family. This idea not only shines within the company, but is also transmitted to the outside world. The success tells the entrepreneurial family to this day right. Customer acceptance is so high that the double-digit percentage increase since the founding has not been broken off today. Sales are now worldwide. In addition, ARGON Medical USA was founded in the United States this year. 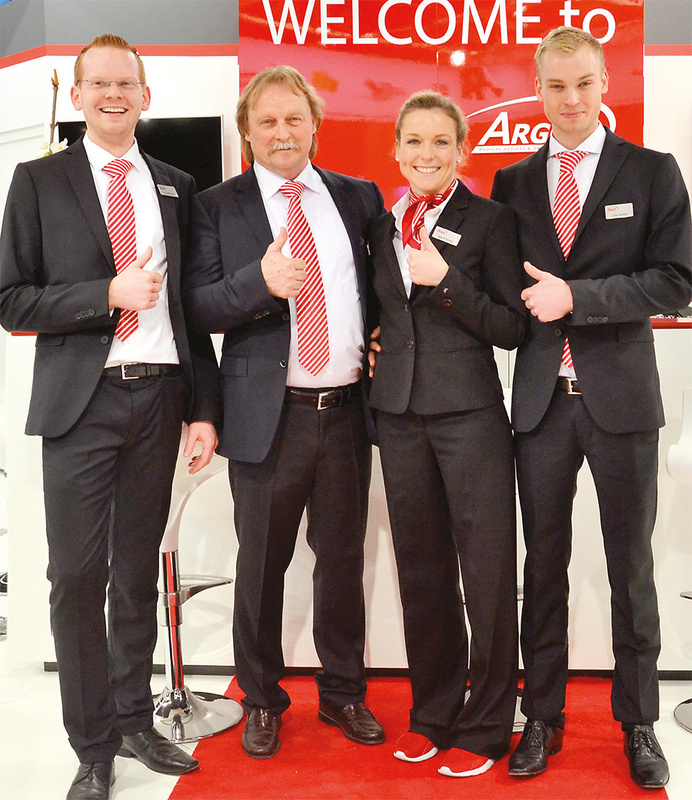 Made in Germany, independence and flexibility are the essential ingredients of the Argon philosophy.